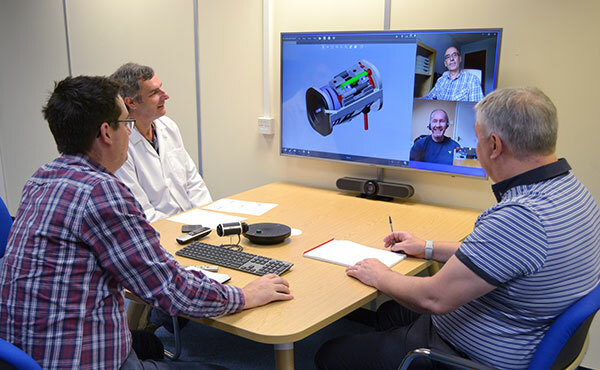 A new video teleconferencing facility has been installed at Resolve Optics to improve and enhance communications with optics users around the world. This new facility allows sharing of 3D CAD images of prototype lens designs with participants in different locations enabling us to accelerate development and help bring your product to market quicker. The teleconferencing facility is also available to support existing customers enabling us to troubleshoot and quickly solve questions you might have on delivered lenses.